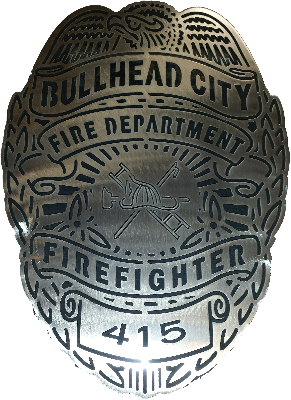 These plasma cut badges and patches can be cut from almost any thickness but we prefer to cut them from 14 gauge steel. 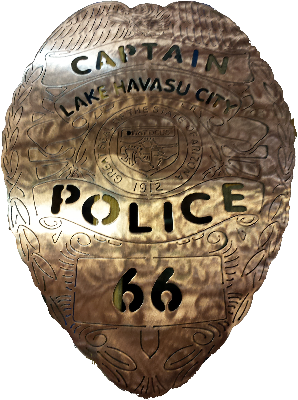 We find it provides the rigidity necessary as well as being budget friendly. 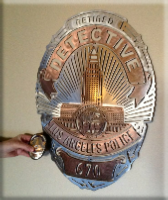 All prices shown are based on 14 gauge steel. 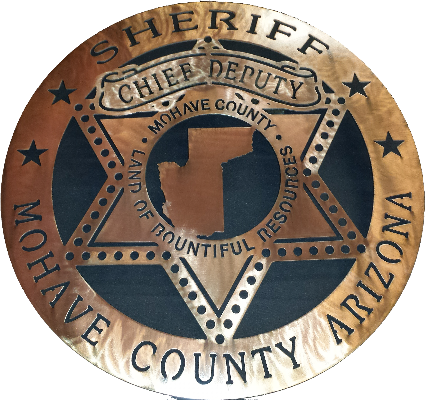 Other metals and different thickness options are available for an additional charge. 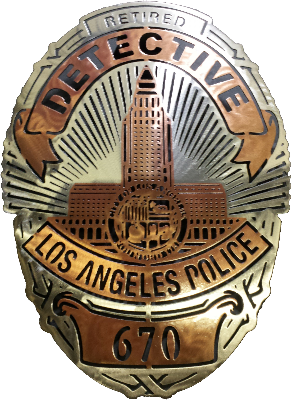 The actual badge / patch or several good quality high resolution photos. 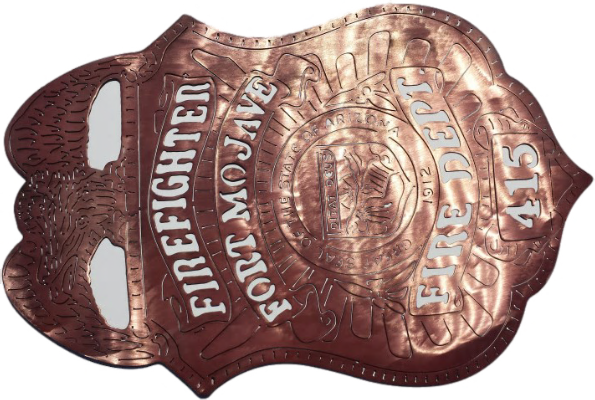 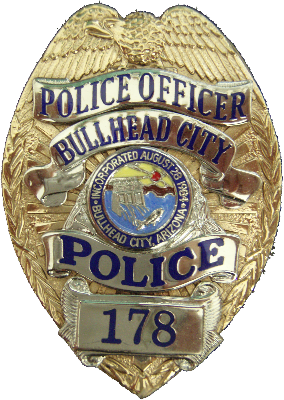 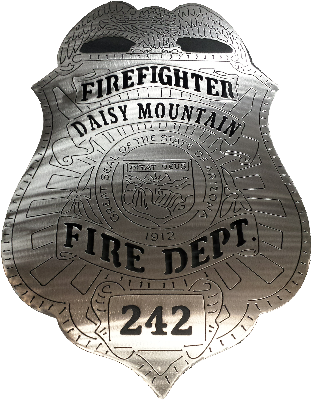 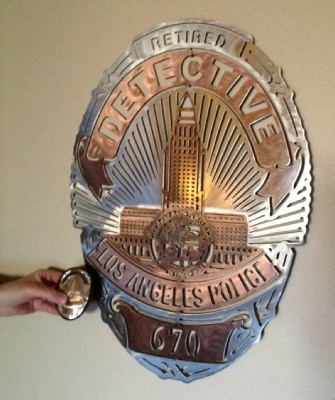 $159.95 for a plain steel badge or patch 24” tall out of 14 gauge steel. 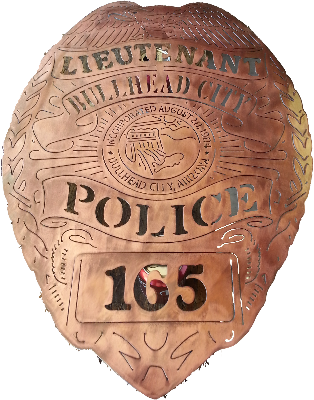 $199.95 for a Copper coated or brushed steel finish with clear coat badge or patch 24” tall out of 14 gauge steel. 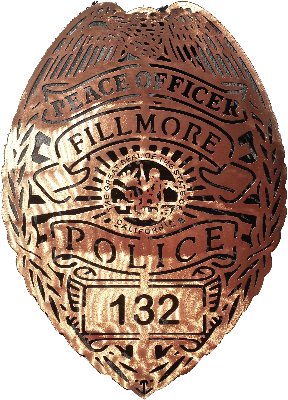 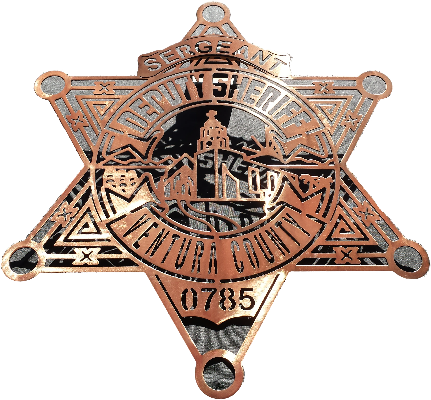 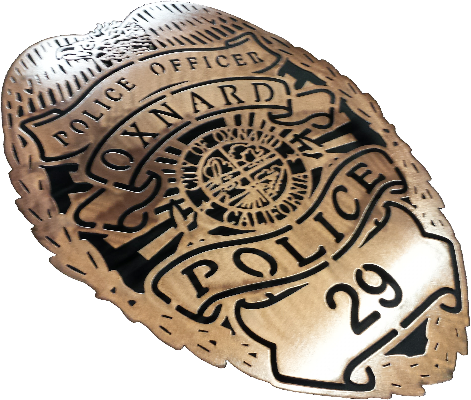 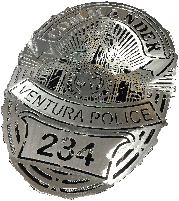 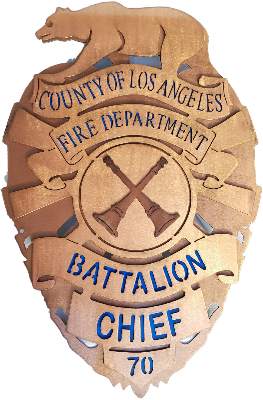 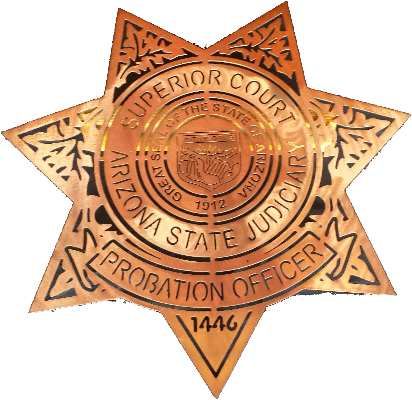 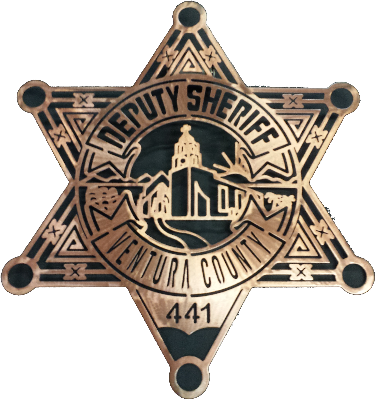 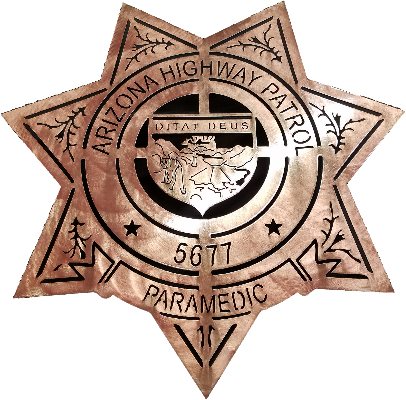 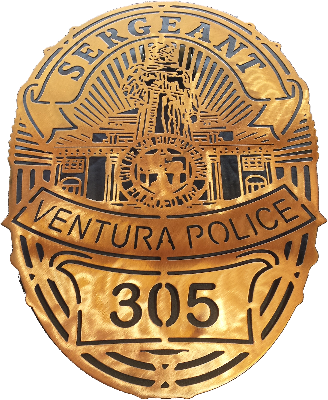 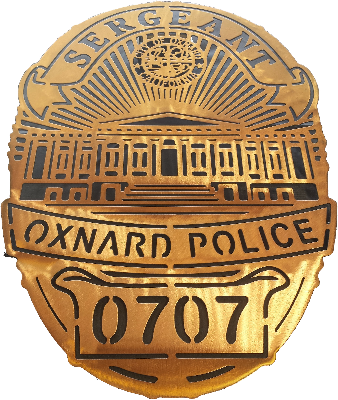 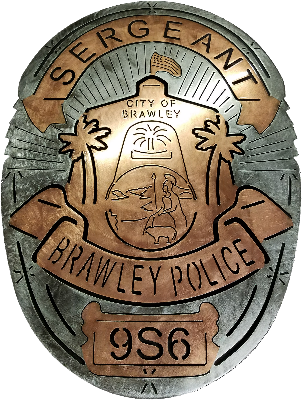 If we do not have your badge on file there is an onetime art / CAD charge of $60.00 to create the artwork and CAD drawings necessary to create the badge. 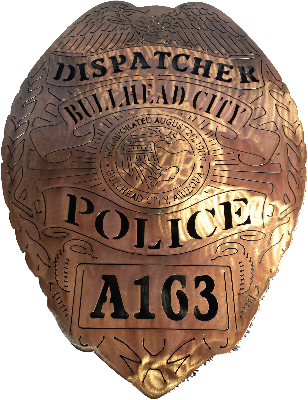 After the initial CAD charge there are no charges for Rank or badge number customization.